3 Masters (1 w/King, 1 w/Queen, 1 w/2 Bunk Sets), 1 w/Queen, Sheets & Towels, Beds Made. Four Buoys and a Gull is an Oceanfront gem!!! 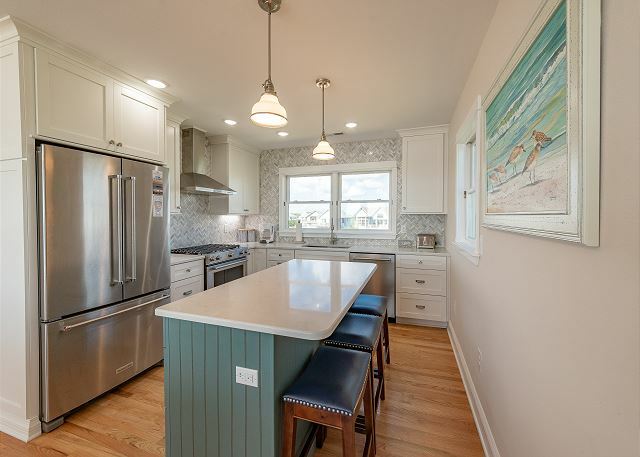 This recently remodeled home offers carefully chosen décor, furnishings, expanded rooms, wood flooring throughout and an all-new kitchen in which any guest will enjoy cooking that special family meal. 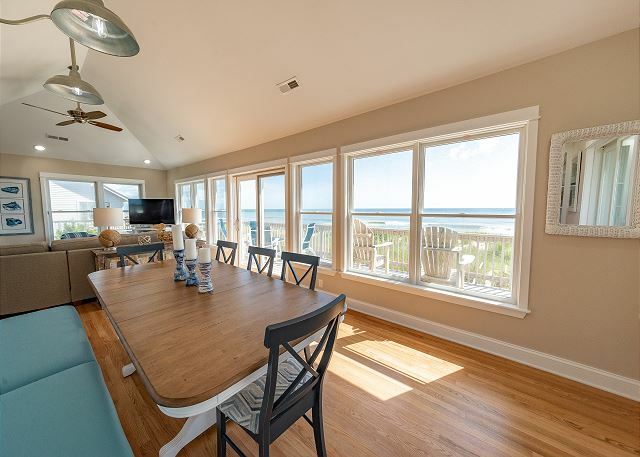 The expanded windows on the ocean side of the house – give everyone spectacular ocean and beach views!! The sunrises are waiting to be photographed and framed keeping your experiences and memories in Four Buoys and a Gull fresh for all to enjoy. 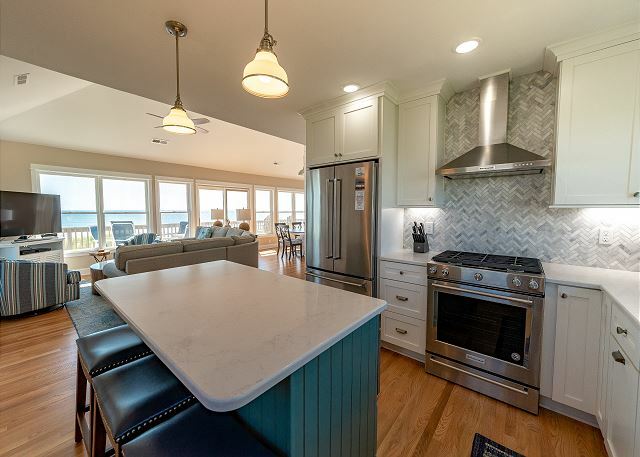 Four Buoys and a Gull is a wonderful family getaway where you can enjoy all the best of Duck and the Outer Banks. 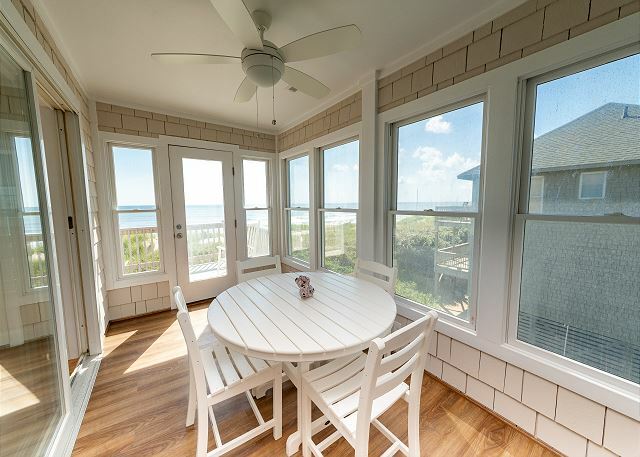 Begin your day on the oceanfront deck watching the stunning sunrise. 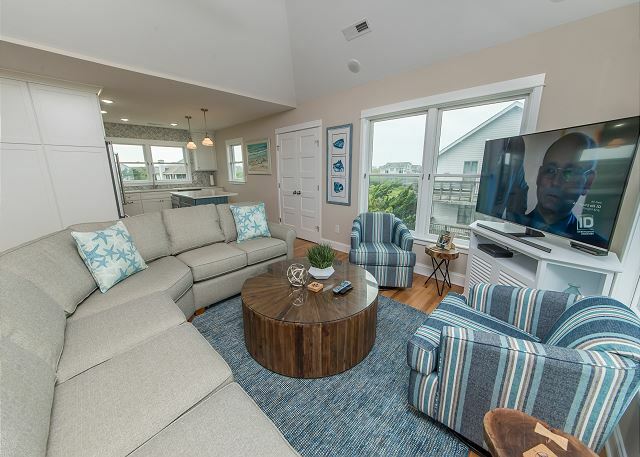 Walk down the private boardwalk and come and go to the beach as you want as the home is only steps from the sand and surf!! 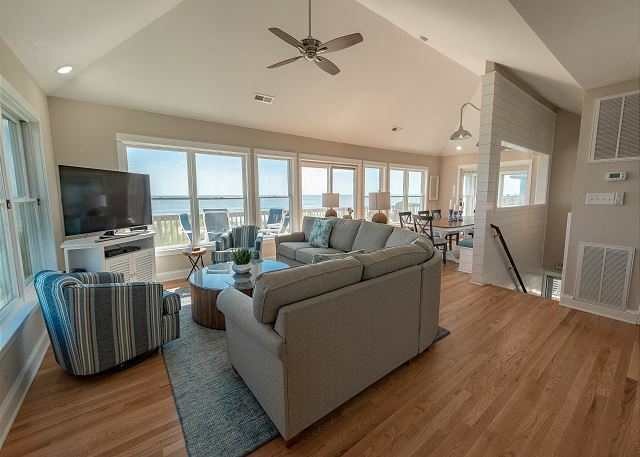 After a hard day at the beach, come back and lounge on the oceanfront deck and take in the unparalleled ocean views while enjoying your favorite beverage. In the evening, prepare a feast in the well-stocked kitchen, then take in the evening sky while gazing at the stars. 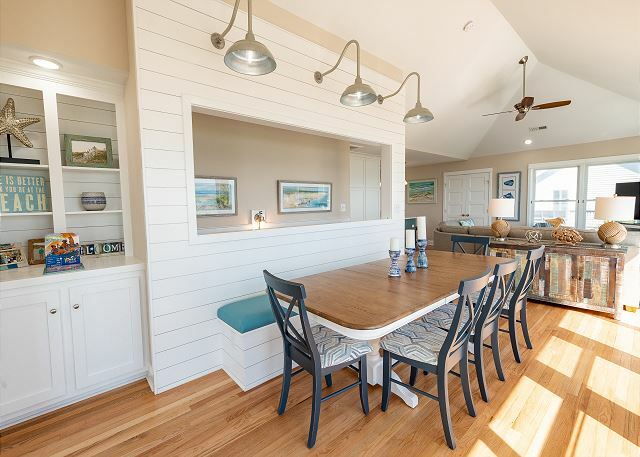 Enjoy all amenities of the Sanderling Community when you stay at this lovely oceanfront home. The Community Pool is available to all guests and Tennis access is available for a nominal fee. Take in nature while strolling through the Community’s Audubon Nature Trails. There are also bike paths winding throughout the Sanderling community. Amenities include Free Wireless Internet access, Sheets and Towels are provided w/Beds Made, Flat Screen Smart TV in the great room w/BluRay DVD Player, Wall Mounted Smart TV in the Den, various Books & Games, Stereo, iron and ironing board, Beach Chairs, Picnic Table and outdoor Furniture and Private Walkway to the beach. 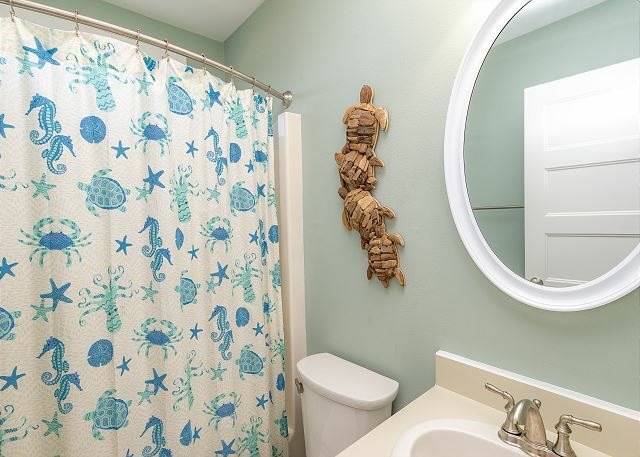 Just steps to the beach (20 yards)! 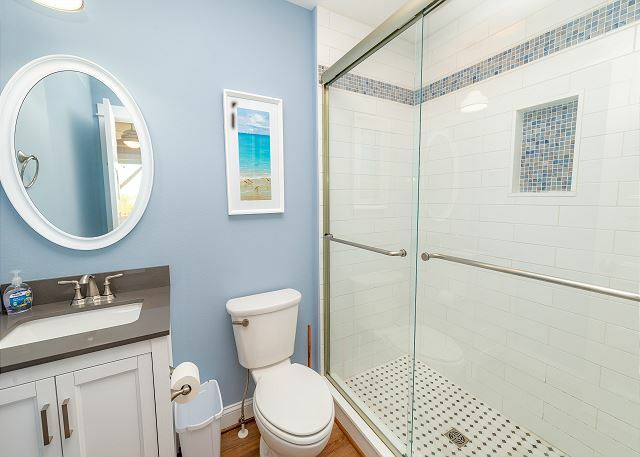 Ground Level: Covered parking; outside shower, picnic table & chairs, beach access steps. 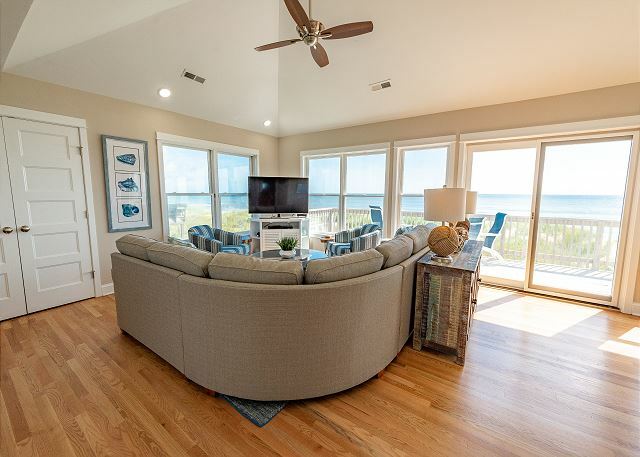 Mid-Level: Den w/sliders to deck access and Wall Mounted Flat Screen Smart TV, Washer & Dryer, Three bedrooms on this level: Queen bedroom & master bath (oceanfront) w/smart TV, a second Queen bedroom w/smart TV, and a bedroom w/2 sets of bunk beds with private bathroom. Shared hall bath full bathroom. Top Level: Great room with wonderful ocean views, Flat Screen Smart TV w/Blu Ray DVD Player, kitchen/ bar w/3 bar stools, half bathroom for common access, large dining room table, access to oceanfront deck, sun room with game table, incredible views, lots of seating, and access to oceanfront deck, King Master bedroom with private en-suite w/smart TV. This house was in a great location!! Very close to Duck and Corolla. We had a wonderful time. It is steps to the beach which is great for families with small children. The house was very clean when we arrived. 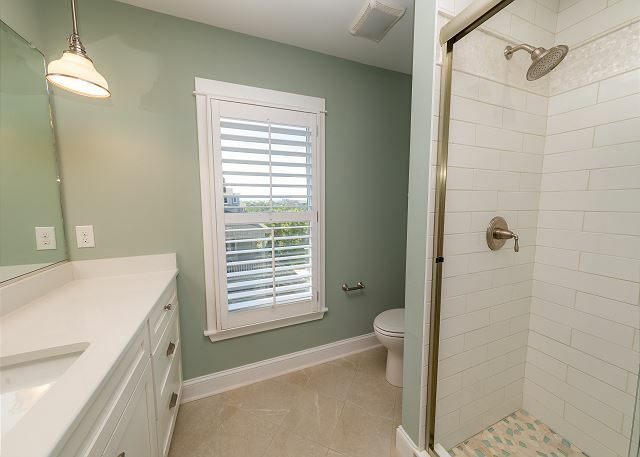 The remodeled home was a please to be in. The only problems we had was the the oven did not work. And towards the end of the week, there was a strong sewer smell in the lower hall hathroom. Hopefully, these issues can be resolved. We would definitely love to stay in this home again. Absolutely beautiful beach front house. house was well stocked and suited our family needs. outside brushes need trimming by walk way and grill area. 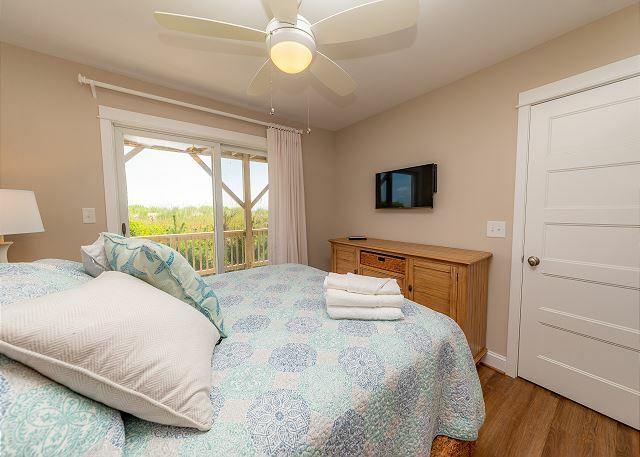 Thank you for your recent review of our property "Saratoga", we appreciate you taking to the time to let us know how you enjoyed the property and are very happy that you had a comfortable and accommodating stay. These owners are looking to make some major upgrades for 2018 and we are beyond excited for what's in tuned! 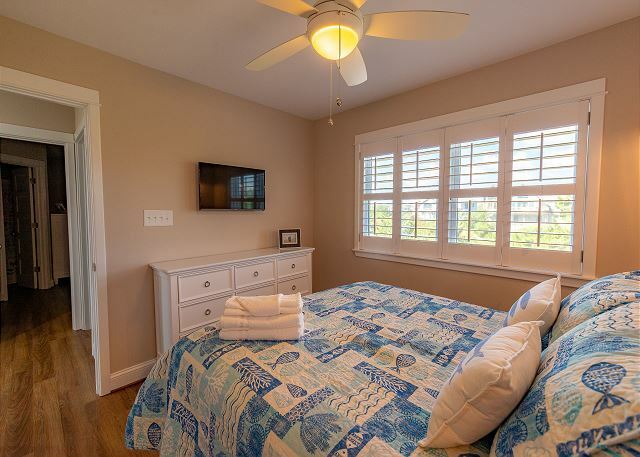 Don't forget to give us a call here at Kitty Hawk Rentals the next time you are planning a trip to the Outer Banks. We loved the house and the beautiful decor. Everything was updated very nicely! The kitchen utensils were very nice--everything we needed. Our only concern, and it was minor, was the lack of stairs to the beach--scaling the dunes was a little tricky for one of our party, but certainly doable. We are so pleased that you enjoyed your stay at "Four Buoys and a Gull". 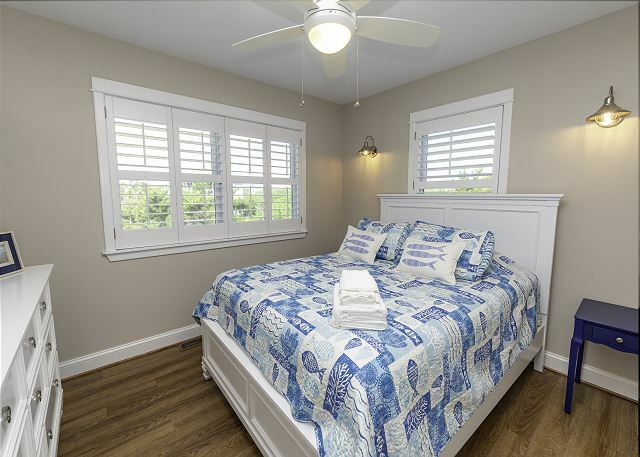 The owners will be thrilled to hear that one of their first guests in the totally renovated home on the interior and many renovations to the outside is being enjoyed after the tremendous amount of work and thought for the furnishing and interior design and decor was perfect. 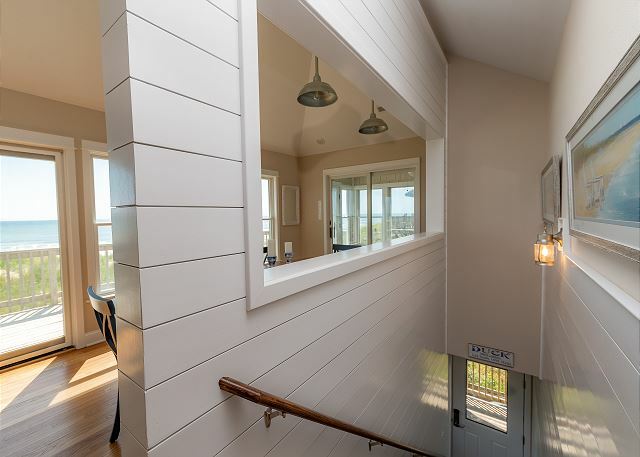 We will certainly let the owners know about your comment about stairs from the dune to the beach would be nice. Please join us again for all future vacations here on the Outer Banks at "Four Buoys and a Gull". Another lovely week at Saratoga! We love this house! 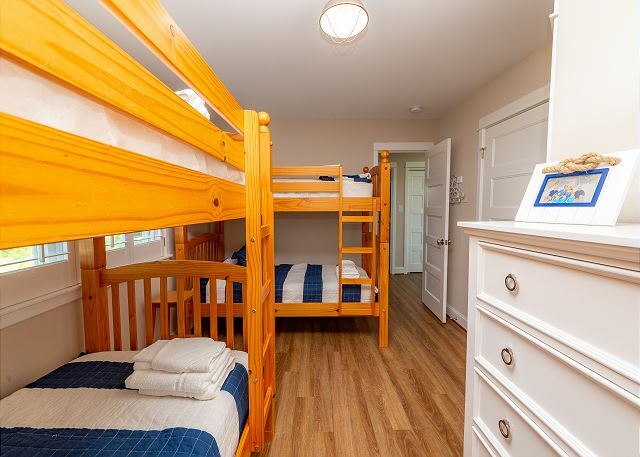 It's got plenty of space and room for our group of 4 adults and 2 kids to spread out. 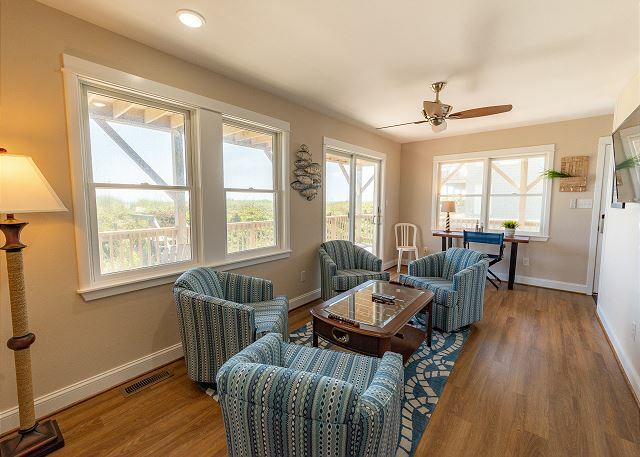 We love to watch the beautiful views from the upper deck, so close to the ocean that we could let the kids go down to the beach and play in the sand in the evenings after dinner and we'd just watch from the deck. The house is well stocked with everything we need. The only thing we wished for is a few more tall deck chairs to sit on. This was our second time staying here, and we plan to be back again next year! It was a great house for our family of 10 (6 adults and 4 kids). The extras in the house were appreciated - plenty of kitchen utensils for cooking and serving, sand toys, games, electric sweeper (the youngest was 2), fans, etc. The beach was beautiful and had few people using it. We would book it again. Great house and great location. Place was very clean an well maintained. Will try to return next year. 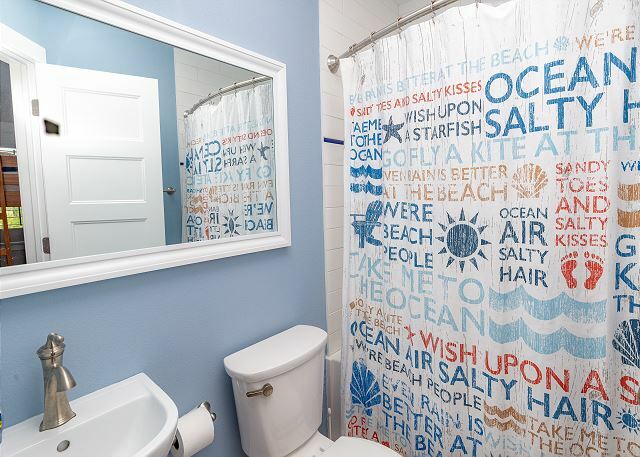 Kitty Hawk Rentals is pleased that you found Saratoga to be well cared for and that your family enjoyed your vacation in Sanderling. We welcome you and your family to come and stay at Saratoga for many vacations to come. We enjoyed staying at the Saratoga. Nice location, beach and home. 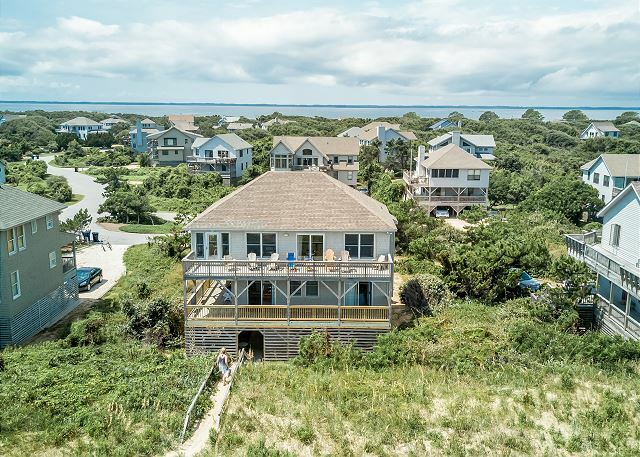 Thank you for letting Kitty Hawk Rentals know that you enjoyed the location and being at this property. Looking forward to your family returning with us for many vacations in the future. Everything was smooth, from beginning to end. Beach Realty did a great job answering our questions before we decided to rent Saratoga. 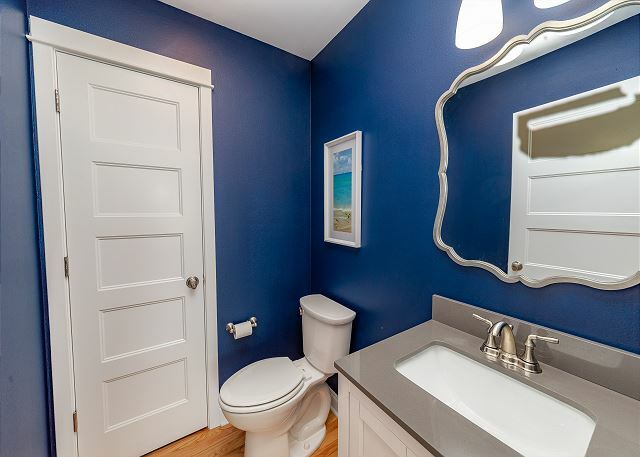 Upon arrival, everything was as described in the listing. While the house is dated, it suited our needs perfectly. 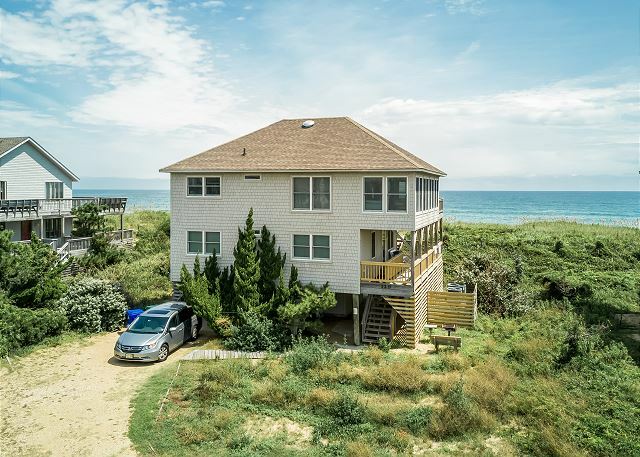 Finding a smaller beachfront home is becoming more difficult in the OBX, so we felt lucky to stay here for the week. 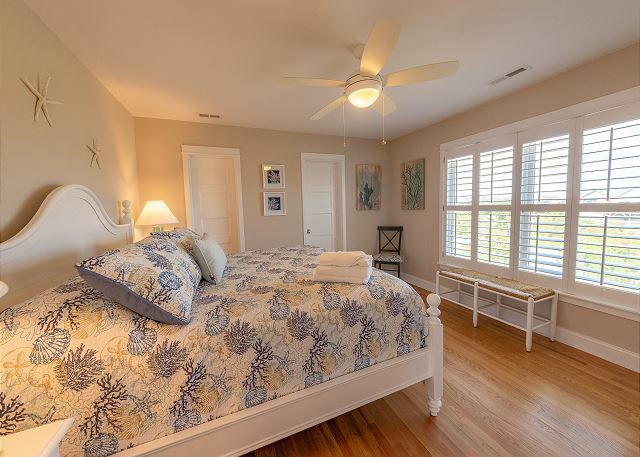 Thank you so much for taking your time to let the owner and Kitty Hawk Rentals that you had a "Great Family Vacation". 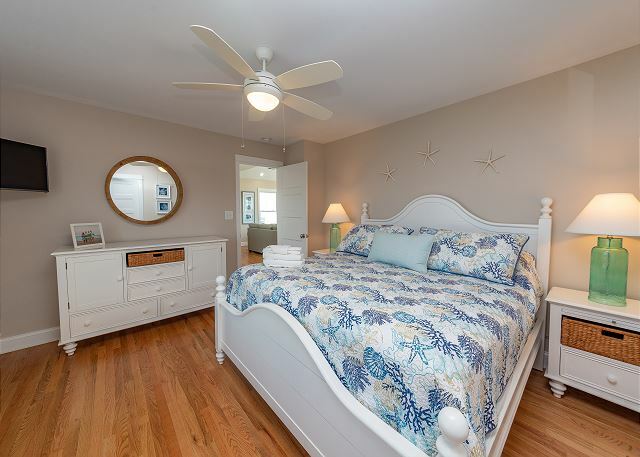 Kitty Hawk Rentals always strive when renting to a guest to fit them with a home which will meets their needs and gives them a wonderful memory making experience. Please do join us again here on the Outer Banks for many more vacations in the future. 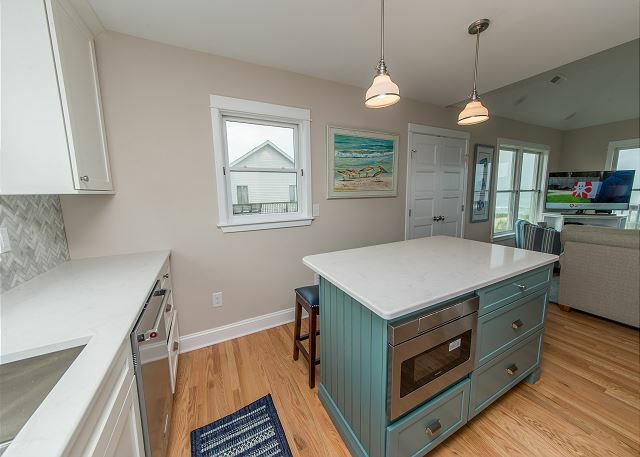 The house was clean and right on the beach as described. There were plenty of amenities in the kitchen and throughout the house. The cable package was surprisingly stacked with pay channels that most rentals don't seem to include. We really enjoyed our stay and would rent again. Beach Realty agency was easy to use, quick in and out and provided my kids with drinks and snacks while we waited for the house to be prepared. Thank you very much for choosing Kitty Hawk Rentals for your vacation. 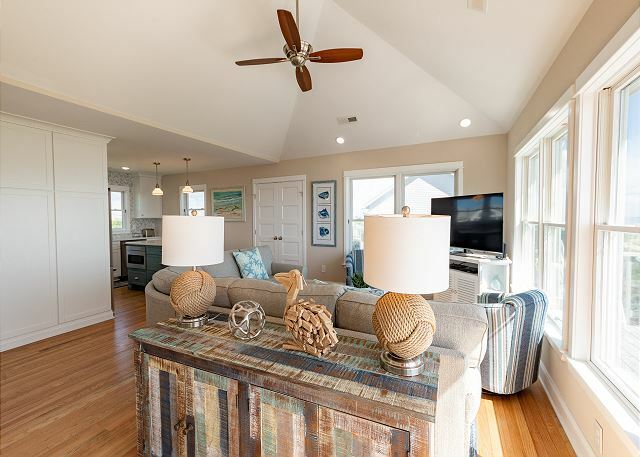 It is always great to know that the home which a family choose to spend their vacation in any year is just what they need and more on their vacation. 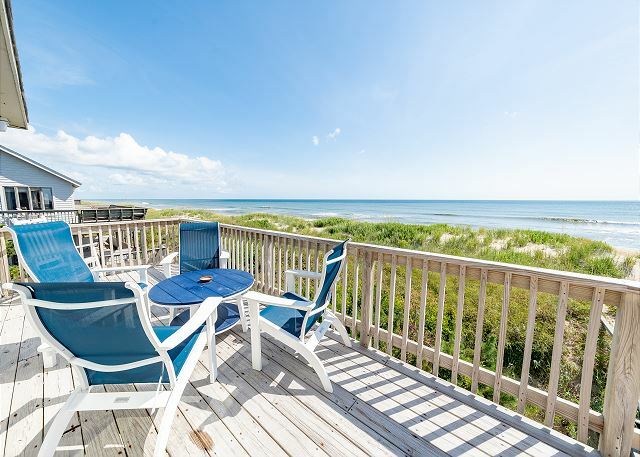 Being oceanfront is a great experience by being able to see the ocean and its splendor which is never the same from minute to minute. Also getting see the birds and hopefully dolphins in their native habitat is always exciting for kids and adults as well. We look forward to having your family spend many more vacations in the future. This was our second stay at the Saratoga. It is lovely and well kept. 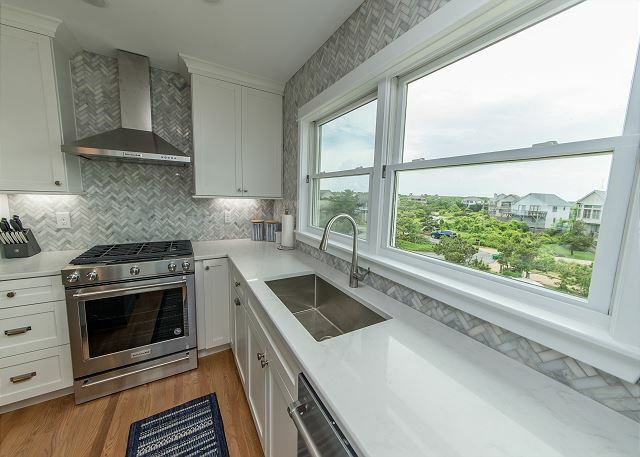 The kitchen has everything one could want to prepare meals for a large family. 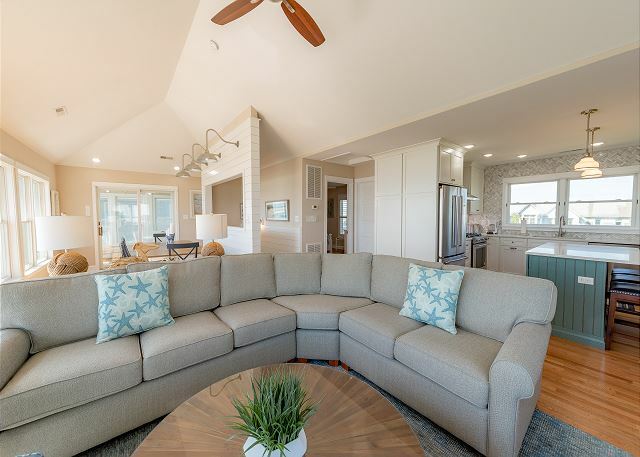 The home is beautifully decorated and there are so many places to enjoy reading a book or spending time relaxing with the family. 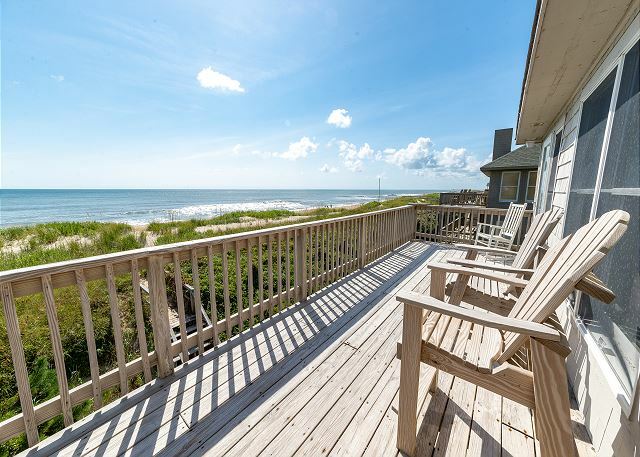 The home is oceanfront and has lovely ocean views. 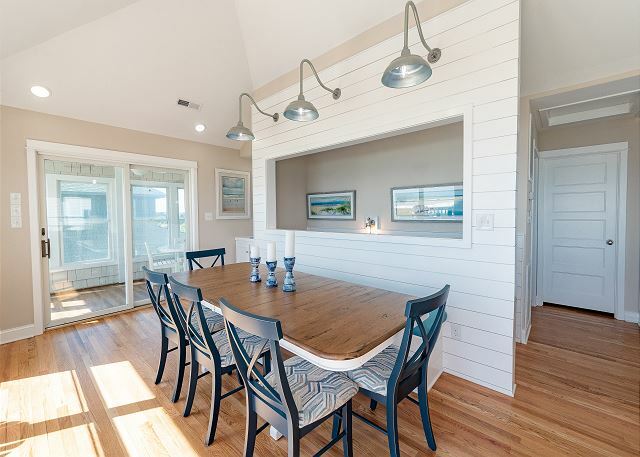 It is located in a very nice community, Sanderling. Hope to return again next year! A fabulous vacation in a lovely home with a perfect location. 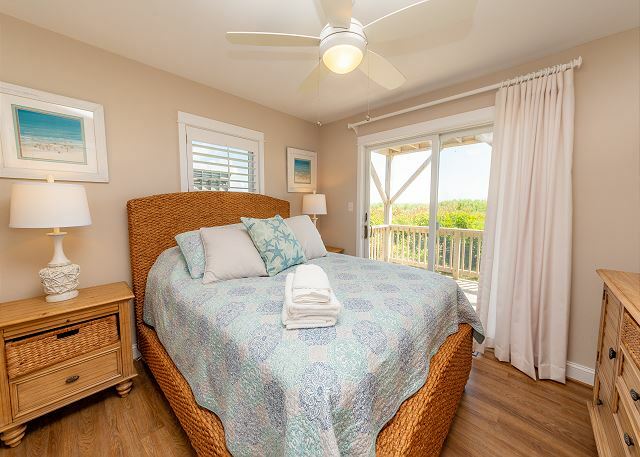 This cottage is located on a very good stretch of sandy beach. We walked 10 minutes down the beach and some areas there were much narrower and steeper to get down to the water (where beach sand had washed away). Being close to Duck was great since they have many good restaurants and shops. We liked Beach Treasures for shopping, Duck Cottage for coffee and pastries, Tommy's Market for groceries, Fishbone's Sunset Grill for lunch on the water, Wave Pizza for pizza, Donutz on a Stick for ice cream among other restaurants. Nice walk along the Duck boardwalk on the Sound side. We have stayed in this house twice and it has been perfect for us. We are long time Outer Banks vacationers. We had our own home built in Corolla and enjoyed that for 10 years. 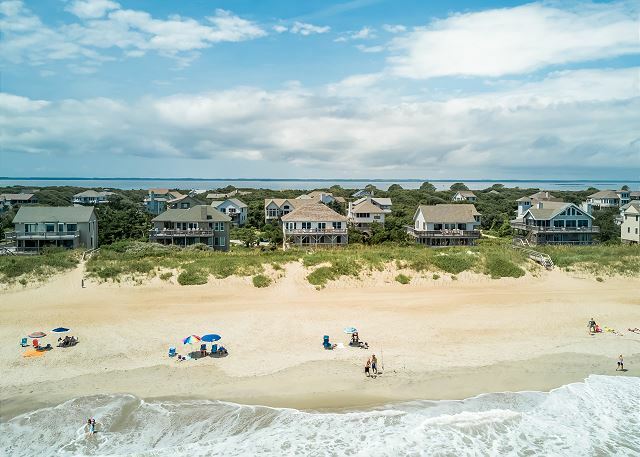 My mother owns a home in Sanderling that has been a family retreat for 35 years - so we are very familiar with the area. The convenience of being oceanfront with two active 10 year old boys was great. We could sit on the high deck chairs and watch them if we weren't on the beach. This house has a very nice lower level which acts as a second living space with its own family area, able, TV, games etc. A suggestion for the owners would be to trim back the grass from the walkway to the house and have a plumber fix a variety of drips throughout the house. But these were minor inconveniences in a lovely week. What a wonderful week, the house and location are just amazing! The house was perfect. The community had a secluded and private feel. Exactly what a vacation should be. Ocean front with only steps access was so convenient. Wonderful view, comfortable house, well-equipped kitchen! Thank you for letting Kitty Hawk Rentals and the owner know that your family thoroughly enjoyed your time at Saratoga. The views from the house are simply great and if you get to see any marine creatures in the native habitat, then that is just a bonus. 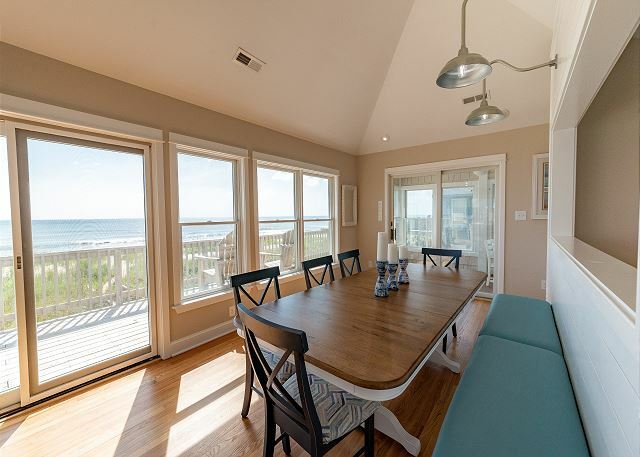 Kitty Hawk Rentals looks forward to having your family return for many rentals seasons to come.